Want a happier end to summer? Try this: Sometimes, if you see something, don’t say something. 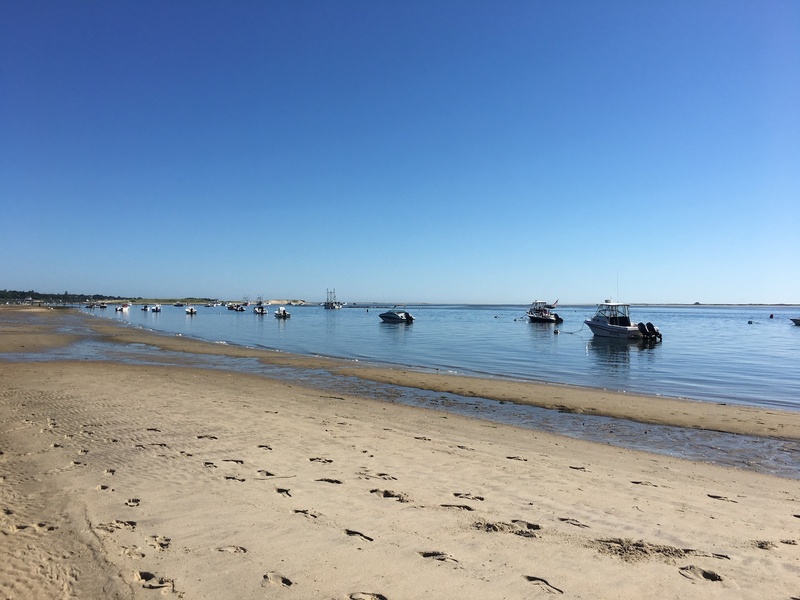 Last week, we took out annual summer family vacation: a trip to Cape Cod, where we stay in the same place and do the same things, every year, which still manages to always be just different enough. As we often do, we took a fishing trip. We saw whales. We dropped lines and jigged for mackerel to use as bait. We zoomed at top speed to a place where the striped bass might or might not be—and for the most part, they weren’t. And jigging wasn’t enough, which meant our Captain thought there should be casting, which only the oldest child was allowed to do. Boredom and grumpiness ensued. I hate fishing, declared one of my younger three. Me too, agreed the other. We never get to do anything fun, said the third. My blood, of course, began to boil. It’s not, as you know, cheap to fish off Cape Cod. And they’d begged to do it. And personally, I would rather be almost anywhere besides a boat in an ocean. I’d spent hundreds of dollars and pushed my fear of open water down and buried it to bring them here so they could whine about it? Apparently, because here we were, and they were whining. But not actually to me, I noted. And not with any real intent. They were just kind of idly griping. Maybe, I thought, I could just let that go. I did. And a minute later the Captain had a bite, and called one of the younger three to reel it in. And then it was decided that one could try casting. And the sun continued to shine, and the faces began to shine again too, and then it was time to go back for lunch. My youngest son leaned on me, just as we were almost back to shore. I love fishing, he said. I love the Cape. This would be fun even if we didn’t catch anything. My younger daughter made a cross face. I hate it, she said, then she laughed. Because I didn’t catch a fish! The third formerly whining child, in the end the one who’d caught dinner, just smiled. If I’d blown up, the trip would not have ended that way. But as you head into the tail end of your summer (ours goes until the end of August, but I know some of your kids head back to school much sooner), try taking a different tack. As Catherine Pearlman, author of the excellent forthcoming book Ignore It: How Selectively Looking the Other Way Can Decrease Behavioral Problems and Increase Parental Satisfaction told me, you really don’t have to say something every single time. Sometimes you can just gaze off at the boats in the distance, hum a little summer tune, and think about something else. Enjoy the sunshine while you can. Thank you for this great reminder. I do need to hold my tongue more often.